Until Saturday 2 August 2014. 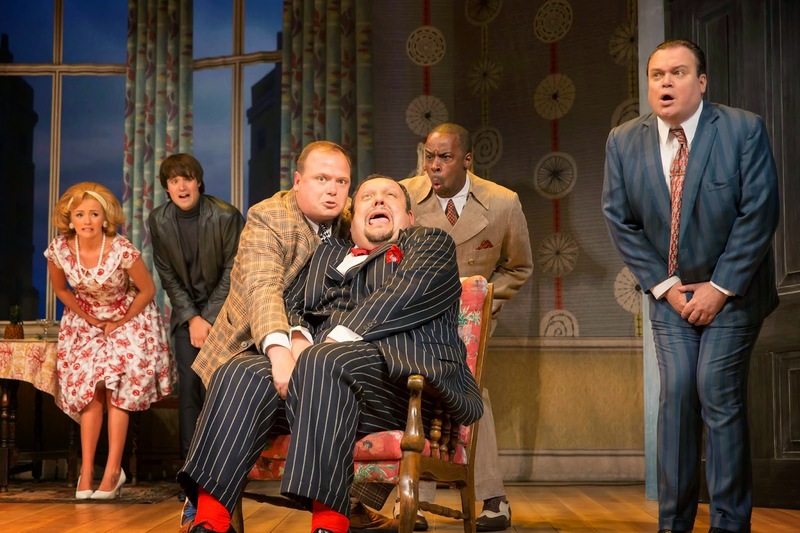 2014 has been a good year for comedy at the theatre in our region and One Man, Two Guvnors is no exception. It is a tight production which keeps the audience roaring with laughter. Richard Bean’s story has moved Carlo Goldoni’s The Servant Of Two Masters to 1963 Brightonand in doing so has licence for a lot of humour which will appeal to the British sense of humour. The National Theatre productions are renowned for fabulous casts and this is no exception. The first scene opens with the engagement party of Pauline and Alan. Jasmyn Banks and Edward Hancock do a great job of representing the opposite ends of the education spectrum without overplaying it. A similar battle of the brains is played out between Pauline’s Dad, Charlie ‘The Duck’ Clench and Alans’s Dad who is the “No win – same fee” solicitor Harry Dangle. 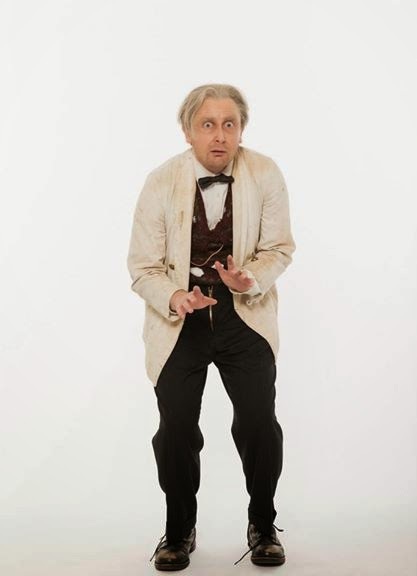 Add into the mix the sassy Dolly and former Parkhurst resident Lloyd, performed by the sharp witted Emma Barton and Derek Elroy. The supporting cast do a brilliant job at setting up many of the funny lines. Tension, and much fun, starts when the previous fiancé, the murdered Roscoe Crabbe apparently appears with his henchman Francis Henshall. 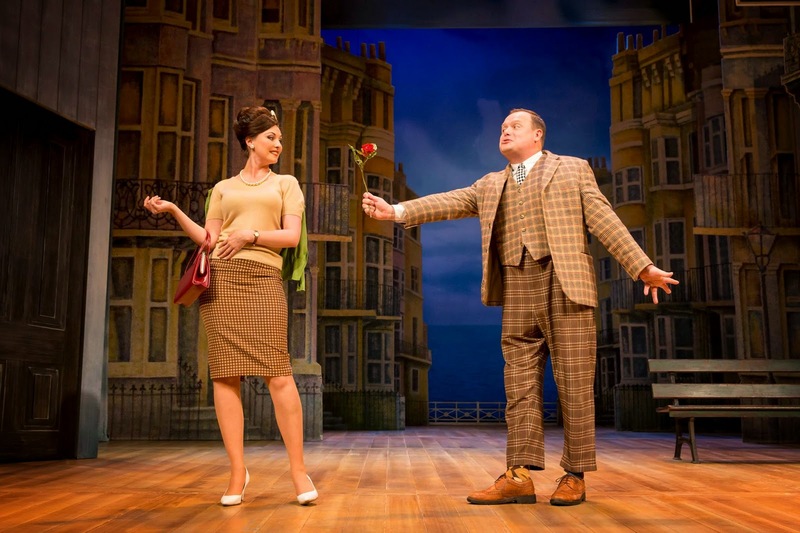 These two leads have been extremely well cast as Alicia Davies and Gavin Spokes are able to manipulate the show and make it appear fresh and spontaneous each evening. This is no mean feet in comedy. Add the arrival of the second Guvnor Stanley Stubbers, with his boarding school jokes executed by Patrick Warner, and the slapstick begins. 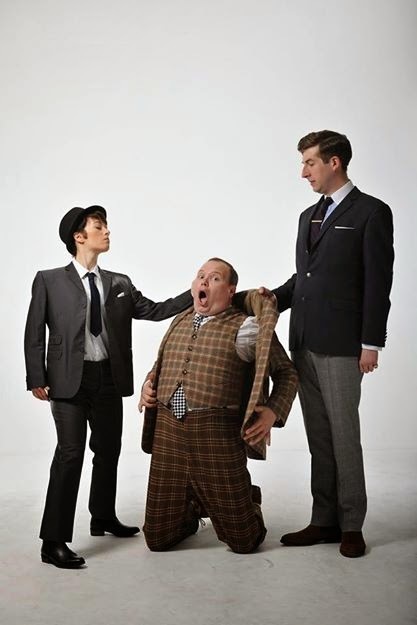 Francis tries to keep his two guvnors happy when they both move into the local pub. The pace of the action never slows as plot unfolds. 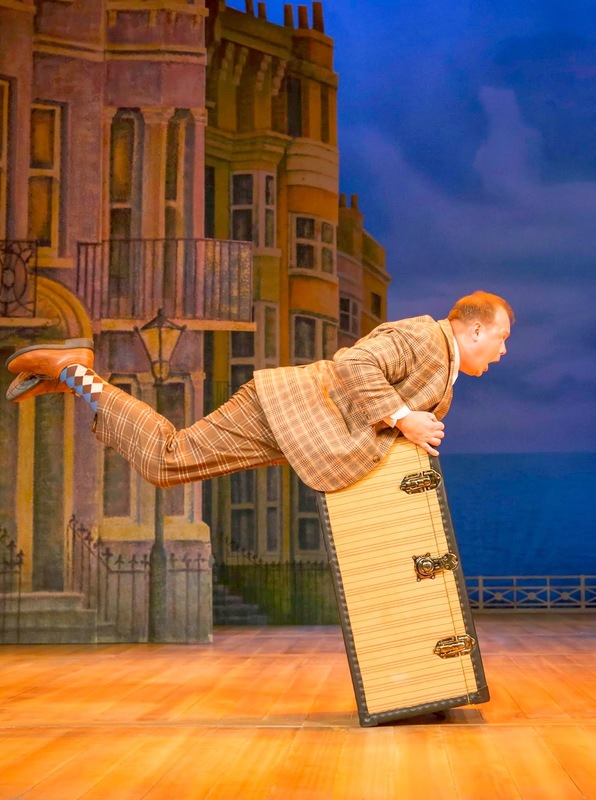 Vaudeville humour is supplemented by the perfect timing of Michael Dylan as the waiter Alfie who helplessly collides with set and the musicians The Craze led by musical director Philip Murray Warson, who pop up at each scene change. 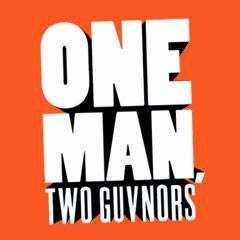 One Man, Two Guvnors is marvellous show full of highly entertaining mischief from a superb cast.